I watched his show on TV while I was still in the Philippines. 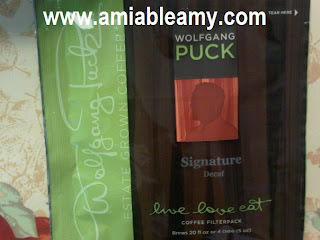 He is a celebrity chef, born under the sign of Cancer (just like me) and owner of Wolfgang Puck Companies. Did you know that when there is an Academy Awards, he is always chosen as the official caterer? Yap! And here's what surprised me, his coffee product which was served by the hotel! Of course, It tastes delicious! When I googled, I learned that Wolfgang Puck's favorite food is macaron which is a sweet confectionery made with egg whites, icing sugar, granulated sugar, almond powder and food coloring with butter cream or jam filling sandwiched between two cookies. He is easy to please huh? Anyway, this product was served in Castillo Resort in Saint Augustine! 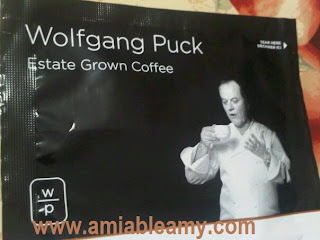 Pretty amazing that the resort chose high end product such as this coffee by Wolfgang Puck! It would only mean one thing, the hotel care about their guests because they have good service and served good products only! If you want to visit Saint Augustine, stay in Castillo Resort!